Now that summer is in full swing, I hope you have penciled in some downtime on your schedule. 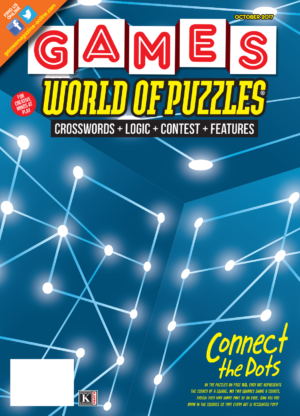 If you’re reading this magazine, chances are that some of that free time might be spent playing games or solving puzzles. 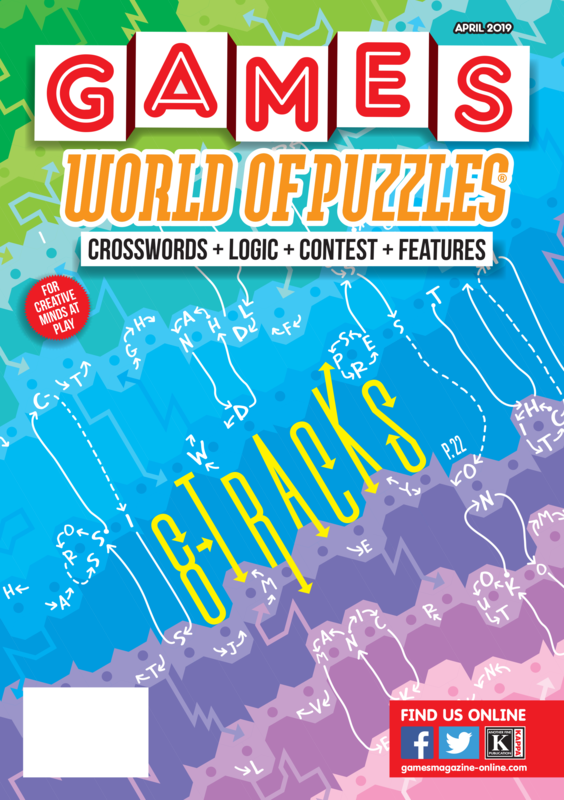 As always, you’ll find an abundance of games and puzzles in these pages. And if you’ve got a little extra time on your hands, all the better—we’ve got some special treats in this issue. You may remember Andrew Parr’s “Escape from the Mysterious Shrine,” an escape game in the form of a mini puzzle series, that appeared in the December issue. 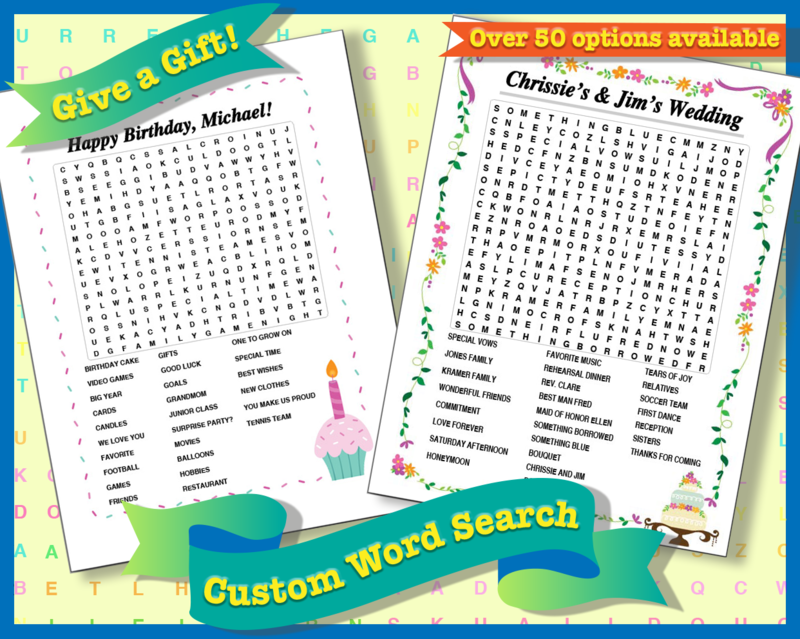 Several of you commented on the cleverness of this puzzle and let us know how much you enjoyed it. In this issue we present a new challenge from Parr, called “Escape the Mysterious Elevator.” Can you use the clues scattered throughout pages 24 through 27, along with your own ingenuity, to discover the way out? 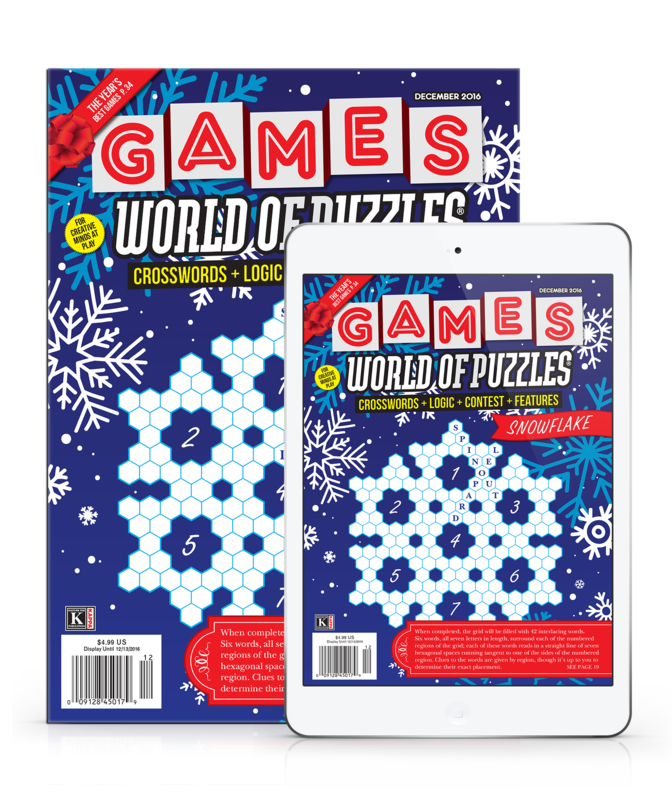 More on games can be found in our editorial features—namely, “Child’s Play” by Judy Weightman (page 34) and “Solitaire” by Thomas L. McDonald (page 38). “Child’s Play” delves into the history of children’s games, from ancient times up to the present. Weightman also examines some of the educational benefits that games provide to young learners. If you have kids who will be heading back to school this fall, breaking out the board games is a win-win situation: They’ll have fun and develop important skills for the year ahead. “Solitaire,” on the other hand, not only reveals the interesting background of this perennially popular card game, but also opens up a treasure trove of beguiling variations that you might not have known about. This article will provide enthusiasts with a wealth of resources for all the solitaire games out there. What better way to pass a lazy summer day? 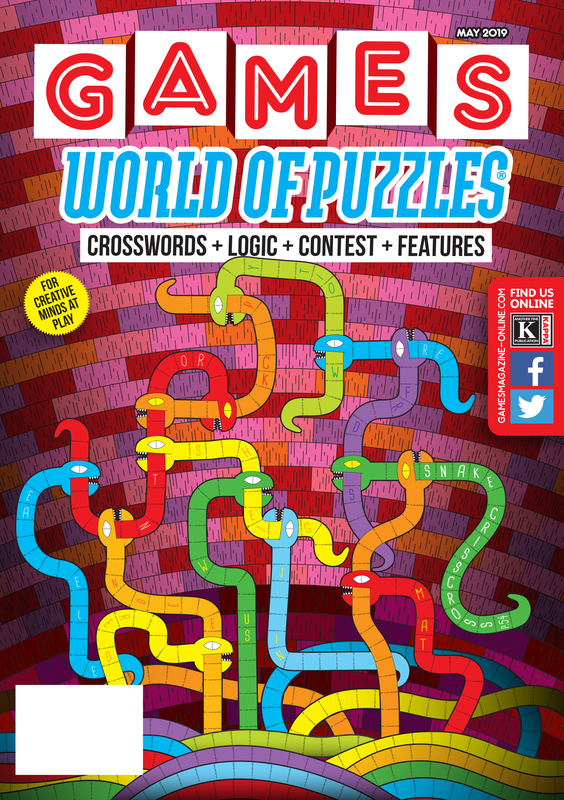 As an aside, you might notice that McDonald’s board game reviews are missing from this issue. That’s because he has so much to say about solitaire, but fear not: His reviews will return in the September issue. 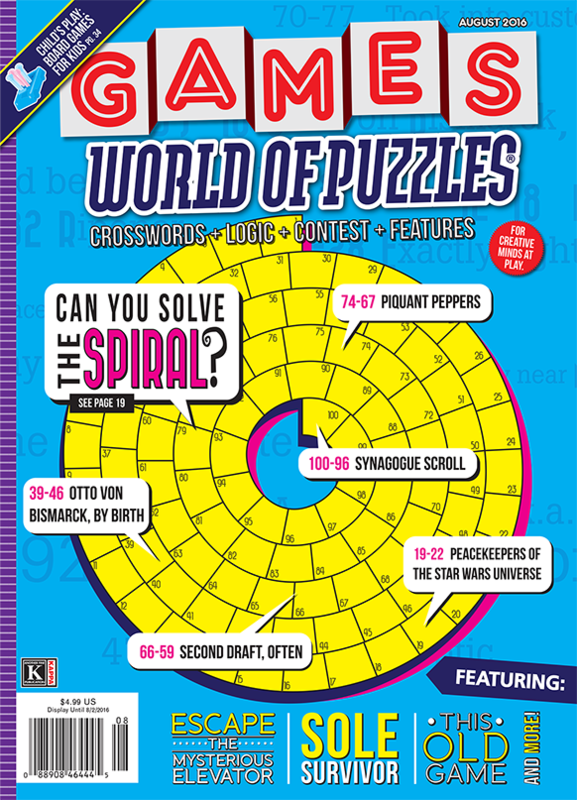 If you love cryptograms, this issue has plenty to offer. In addition to our regular features “Crypto-Funnies” and “Dszquphsbnt!” Raymond Simon profiles veteran cryptogram creator Luís Campos and reviews a new book of cryptograms—all made from Tweets. These features and much more await you, so pick up your pencil and dive in!